Delighted Momma: Have you Heard of The Bee Venom Mask? 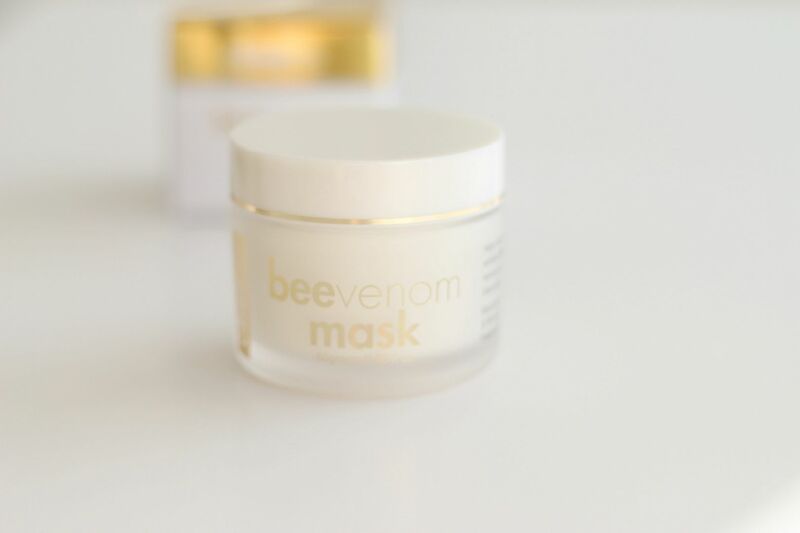 Have you Heard of The Bee Venom Mask? I was recently sent this Abeeco Bee Venom Mask to try and I am totally hooked! I only ever give reviews on products that I think are amazing and this was exactly that. Have you heard about this yet? It has become quite a hit as of recently since Kate Middleton, Gwyneth Paltrow and Victoria Beckham have reported using this as part of their skin care routine. The mask plumps and firms the skin and lord knows this momma could use a little plumping every now and then! The Bee Venom contained in the mask works by fooling the skin into thinking it has been lightly stung. This in turn increases blood flow to your face and gives you the ultimate refreshed glow! My husband was a little concerned when I told him what I was about to put on my face the first time I used it but I love trying new and different products so I slathered it on and let it work its magic. I did experience a slight tingling sensation but nothing painful or uncomfortable like an actual bee sting...haha that would be bad. I also love that it is paraben free and some of the key ingredients are Manuka honey (SO good for your skin), shea butter, Vitamin C and lavender oil. The Bee Venom is collected by expert New Zealand beekeepers. They follow ironclad guidelines to ensure that no bees are harmed during the extraction process. Do you think this is something you would try? If you have tried this or something similar I would love to hear your opinion as well. I have never heard of this but I am intrigued! I need some plumping as well. My skin is pretty rosy, so I wonder if this would make it worse? I always end up going back to good old coconut oil as my facial moisturizer. I want to try this!!! I'm obsessed with Kate Middleton and she is flawless and has such great skin! Okay, this kinda freaks me out. But I'd still totally try it. Ha! I am intrigued, but after reading the description I cannot believe they don't mention anything at all about allergic reactions!! Surely they should have some idea whether or not this is safe for people who are allergic to stings. Anyone know? Abbey- Sorry for not including that in the post but yes, if you are allergic to bee stings then you can not use the mask. hi delightedmomma! i've tried it yet but would loved to! may i know where did you purchased it? and how much it cost? thanks!